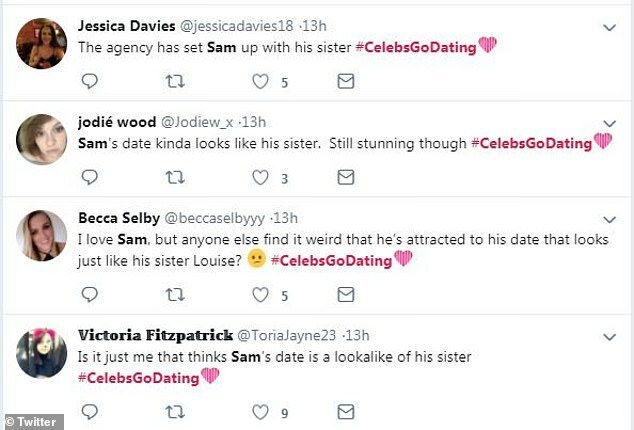 He is looking for love yet again on the latest series of Celebs Go Dating. 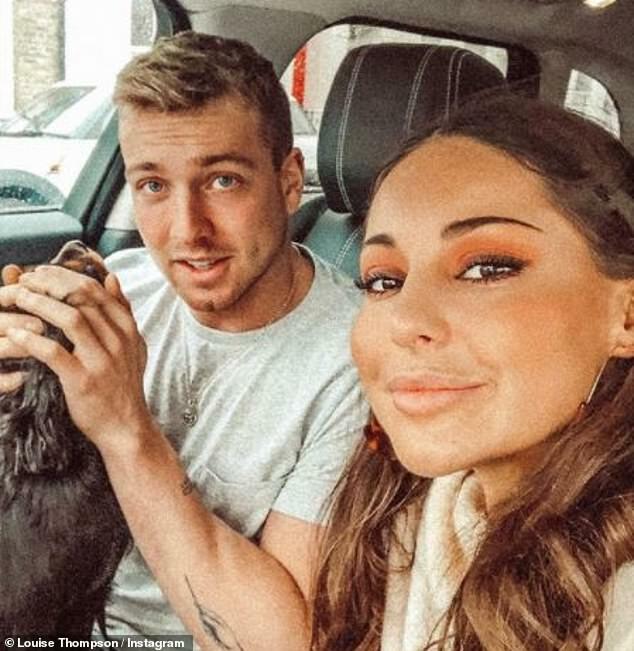 And while Sam Thompson’s luck seemed to be in on Wednesday night’s episode of the show, the Made In Chelsea star hit a speed bump when viewers awkwardly pointed out that his stunning date Aliki bore a resemblance to his sister. 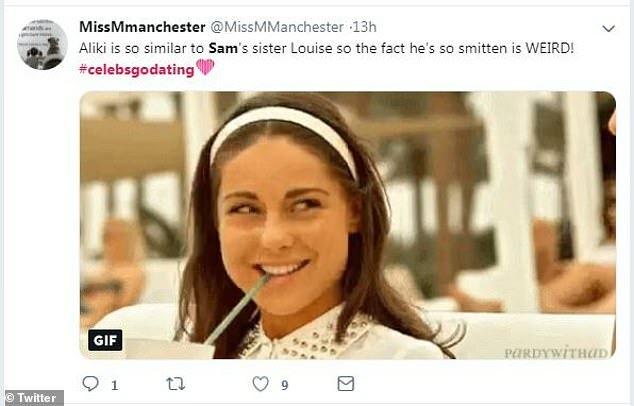 Flooding Twitter during the show, viewers awkwardly suggested that the 19-year-old student was near-identical to his co-star sibling – due to their brunette tresses, sun-kissed complexion and petite figures. 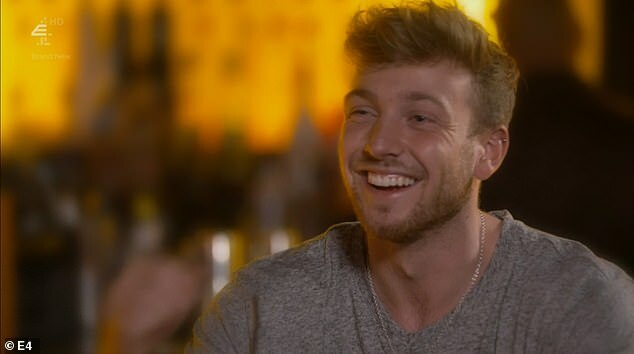 Sam is taking his second stab at romance on the show, having tried and failed last year however he grabbed the attention of stunning Aliki after they were set up by experts Anna Williamson and Paul Carrick Brunson at the agency. While the star was certainly happy with his catch, fans were more concerned by the fact there was a striking similarity to his famous sister. While Sam is looking for love on-screen, Louise is preparing to marry her beefcake beau Ryan Libbey this Christmas. She recently opened up about the details of the impending nuptials, which fans hope will be televised on the long-running reality series. And it seems she’s keeping things close to home and traditional. Talking to OK! Magazine, the 28-year-old said: ‘It’s definitely going to be in the UK and we want to have a religious ceremony, so it will be in a church. ‘We know our guest list and we’ve limited it to a couple of locations. 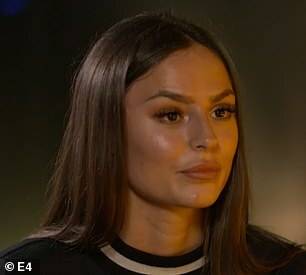 Binky [Felstead] and Rosie [Fortescue] are going to be bridesmaids.